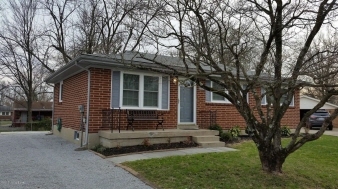 Description: Come see this beautiful one story brick ranch home located on a cul-de-sac. Home features 4 bedrooms, 2 full baths, eat in kitchen, office, hardwood flooring and carpet. Full sized partially finished basement has a den and family room for your enjoyment and a bedroom and full bath. The yard is landscaped and features a chain link fence, gravel drive, patio and a shed. Data believed correct but not guaranteed. Buyer to verify data prior to offer. Agents read agent remarks.